To write a book about a band that has long now been ruling the hardrockin’ world ain’t an easy task. Who you’re gonna interview? What kind of resources you should use? How accurate info can be when dating back to e.g. 40 years back? 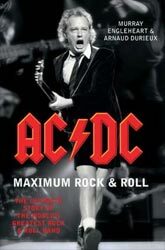 Still, Murray Engleheart and Arnaud Durieux did manage to come up with a comprehensive total material that shall left you far from felling bored when it comes to reading facts and so much detailed information in some 40 years of illustrious AC/DC career. 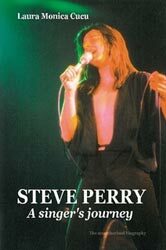 There’s tons of reunion taking place the last decade but I think if Steve Perry ever reunited with his bandmates in classic AOR legends JOURNEY…well, this would be a story to tell to your grandchildren in the future. The majestic voice of this unique singer was, is and shall always be a point of reference when speaking about passion and flame in Rock singing.